Scott completed an undergraduate in Computer Science where he became interested in data analysis and bioinformatics. He then completed a master of science in bioinformatics with distinction in 2012 during which he joined the Inouye lab writing a thesis on gene coexpression networks. After his masters, he returned to do a PhD in the Systems Genomics Laboratory, submitting his thesis in 2017. 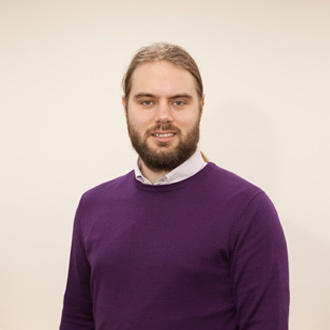 His PhD thesis explored the use of network methods for integrating multi-omic data to identify and characterise biological processes associated with biomarkers for future disease and mortality risk. He investigated the biomarker GlycA, a recently discovered biomarker for long-term risk of diverse diseases in apparently healthy adults including cardiovascular diseases, type II diabetes, and all-cause mortality. Scott is currently a postdoctoral research fellow whose research projects include exploring the interactions between the human microbiome and common disease, network analysis method development, and exploration of etiopathogenesis of genomic risk scores for cardiovascular disease.